It’s raining, and Colleen is sad. How can her grandfather play his bagpipes in the St Patrick’s Day parade? His music is so beautiful it makes people laugh and cry at once. 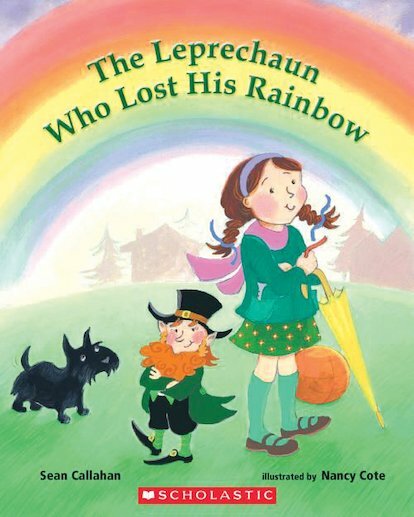 Suddenly, a leprechaun appears before her. He says he can make the sun come out by creating a rainbow. But to build its colours, Colleen must give up the thing she holds most dear… Sean Callahan’s sweet and surprising story is complemented by Nancy Cote’s bright paintings in this charming book, which has a note at the end to explain the science of rainbows.